Cauliflower is a very versatile vegetable. You can do tons of creative stuff with it and really infuse any kind of flavor. I wanted to try to come up with something that would match barbecue smoky flavors similar to what you look for in baked beans and this worked out great. Start by cutting the cauliflower off of the stem so you have smaller florets. place the pieces in a large bowl. Add the olive oil and toss well. Now add the salt and paprika and continue to mix together. Make sure each piece is evenly coated with seasoning. 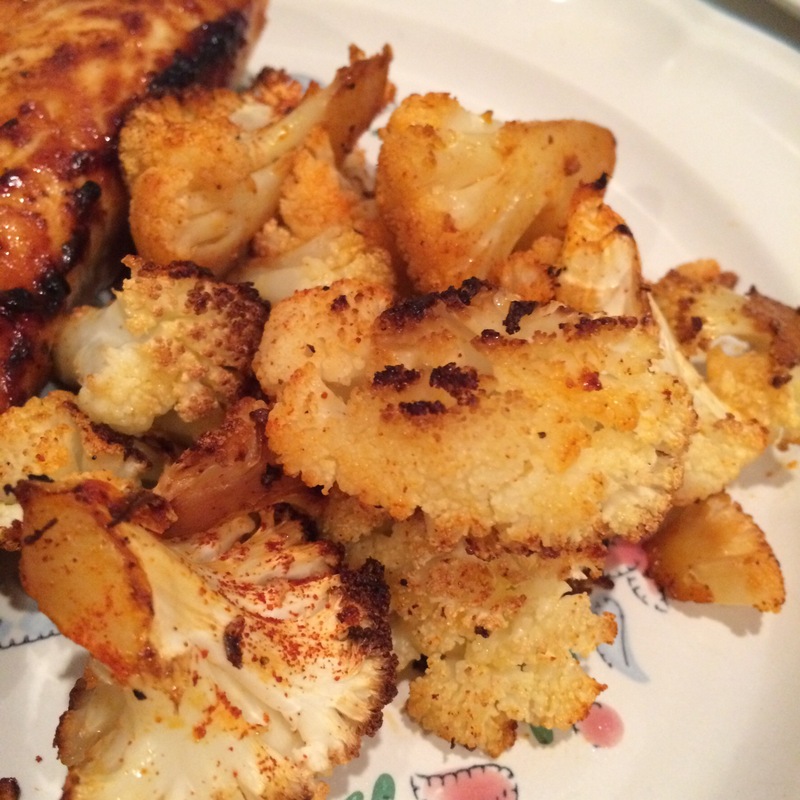 Spread cauliflower on 1 – 2 baking sheets. Roast at 450 degrees for 15 minutes. Remove sheets, flip each piece and carefully sprinkle water on top. The water on the tray will allow everything to steam a bit. Place sheets back in oven and cook for an additional 10 minutes. Serve warm, enjoy!